Ballerup, Denmark, and Eschborn, Germany – 4 June 2018. Nets A/S (“Nets”), a market leader in the Nordic payments industry, and Concardis Payment Group (“Concardis Group”), a leading merchant payment service provider in the German-speaking part of Europe, have today announced at Money 20/20 that the two companies will join forces to form a leading European payments player (the “Group”). The transaction is a merger structured as a share exchange which will see Concardis shareholders contribute their shares in return for Nets shares. Bo Nilsson will lead the combined Group as CEO. Robert Hoffmann will continue to lead the Concardis Group as CEO, reporting directly to Bo Nilsson. The headquarters of the Group will be located in Ballerup, Denmark, and Nets and Concardis Group will retain their respective brands. Over the last couple of years, both companies have been actively driving consolidation in their home countries through strategic acquisitions, especially within the high-growth area of merchant services. 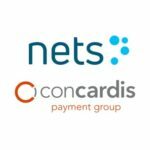 With the merger, Nets and Concardis Group combine market-leading positions as payment service champions in the Nordics and German-speaking parts of Europe. Both companies offer their customers a broad portfolio of payments services including offline, online, mobile, recurring payments and real-time services. The newly-formed Group will further refine its service offering, bringing innovation to market faster, empowering merchants and better meeting consumers’ needs for more digitized, easy-to-use payment solutions. The merger creates a business with approximately €500 million of EBITDA and €1.3 billion of net revenue. The resulting industrial scale will enable further investments in innovation and service improvements for merchants, enterprises and bank customers, allowing the Group to create a leading position in the European payments market. The newly formed Group is backed by leading private equity investors Hellman & Friedman, Advent International, and Bain Capital. These owners each bring significant sector expertise, operational resources and capital to help accelerate the new Group’s growth and internationalisation. The merger is subject to approval by the respective authorities. Closing is expected to be in Q4/2018. Concardis Payment Group is a leading provider of digital payment solutions with 1,000 employees serving customers in Germany, Austria, Switzerland and South-Eastern Europe. We empower merchants, service providers and financial institutions to benefit from payment’s and business digitization. Whether it is seamless payments at stationary points of sale, customisable solutions for mobile and e-commerce or value-adding services: Our innovative products and services minimize complexity and make payments easy to improve customer experience.